After a short summer break and an almost-written third album, Weird. 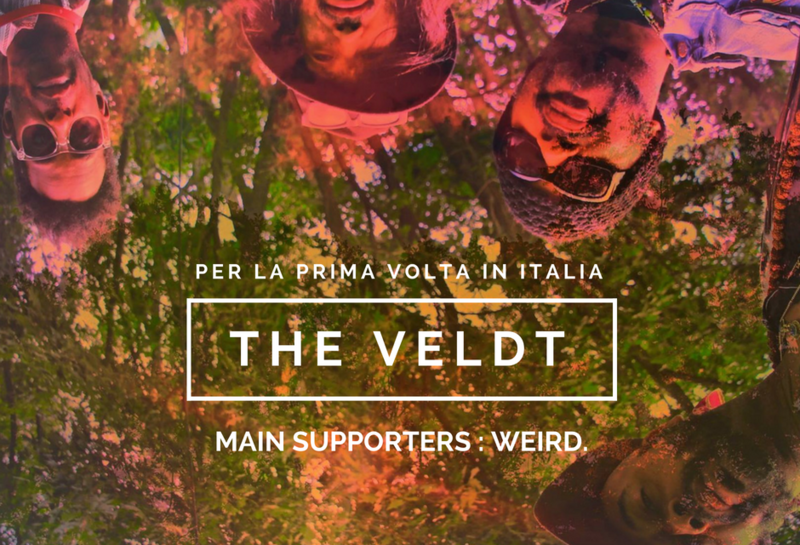 is coming back as main opening act for The Veldt Italian tour and will play a bunch of gigs in France and Switzerland too. Among the first American shoegazers, The Veldt were discovered by Robin Guthrie of Cocteau Twins – with whom they shared the stage several times, along with My Bloody Valentine, Lush, Echo & The Bunnymen, Pixies and many others cult bands. Following the wake of the 90s revival, they were picked up by Anton Newcombe as main supporters for the Brian Jonestown Massacre US tour. Be sure not to miss them!